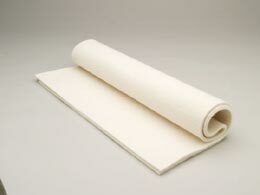 available in 1/8" & 1/4" x 6 x2.5yd adhesive felt. Offers protection from blisters and contusions. Adhesive holds foam in place. 2 sheets per kit.